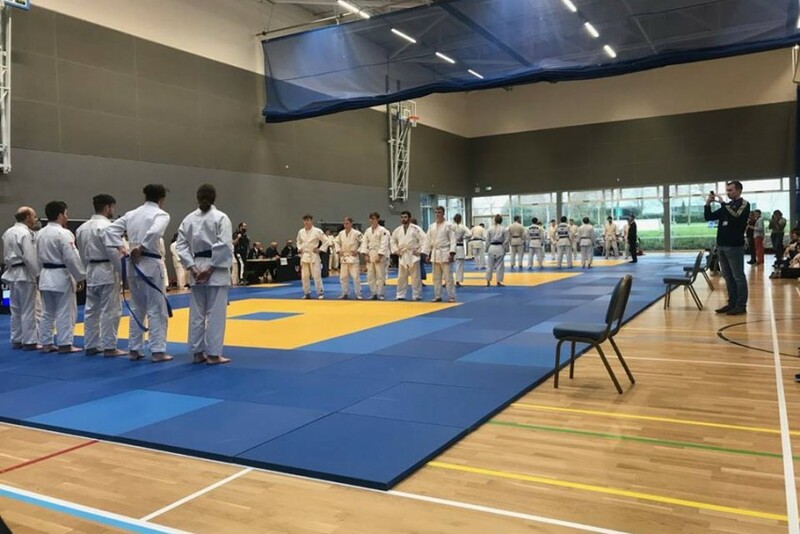 There was much stir around the University in February as the Judo Club were hosting the All-Ireland University Judo Championships with players competing from all the major tertiary education establishments in Ireland. The event comprised of a male and female Inter-college team competition followed by individual categories for judo grades and a range of weight categories according to the International Judo Federation rules. The winners of the Men’s team event were the National University of Ireland in Galway, while the runners-up were the host team from Ulster University. This was the first time for many years that the local club had made it to the final. The Women’s team was won by University College Cork for the third year in succession while the UU team gained a creditable third place. Overall, the Ulster University's judo squad won an unbelievable twenty one medals at the event including the men’s team winning silver, the women’s team winning bronze and gold as well as the All-Ireland University Titles for Corri Hamill, Callum Nash, Catherine McAlorum, Niamh Nugent, Claire Morton, Aimée McElhatton and Rebecca Cuckoo. Especially noteworthy were the silver medals won by Club Captain Joe McKinney and Rebecca Cuckoo in the Men’s and Women’s Open Categories. It was also a special day for former Club Captain Rebecca Cuckoo who won Player of the Day and the final 10 points for her 2nd Dan promotion. During the tournament, the Ulster University players were supported by local coach and event organiser Dr Richard Briggs (6th Dan) who competed in the event many times whilst a student at QUB in the 1970s. An important detail that should be mentioned is that this was the 50th Intervarsity tournament that Dr Richard Briggs attended. 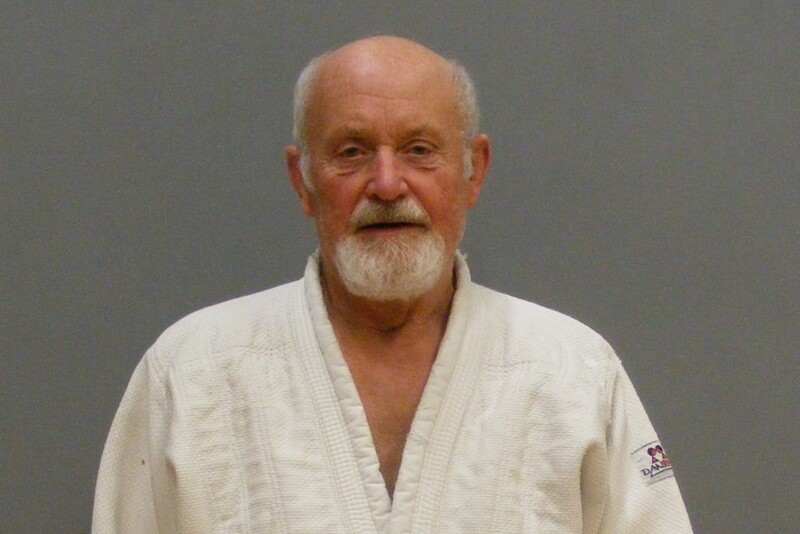 Richard started judo in 1967 and was an active member of Queen’s University of Belfast Judo Club whilst completing BSc (Hons) and PhD degrees in Zoology over the period 1968-1974. In addition to being a Northern Ireland International player he competed on the QUB winning team at the Intervarsity for six years in succession, in addition to winning individual and Open titles. In 1972 Richard competed on the Irish Universities team at the World University Championships in London and was twice awarded a Queen’s Full Blue (1969 & 1971) for judo. Richard holds the grade of 6th Dan, is President of the Northern Ireland Judo Federation, Vice President of the Commonwealth Judo Association and the NIJF Director of Examiners. He is a former Board Member of NI Sports Forum, NI Commonwealth Games Council’ and currently Vice Chair of Coleraine Sports Council. 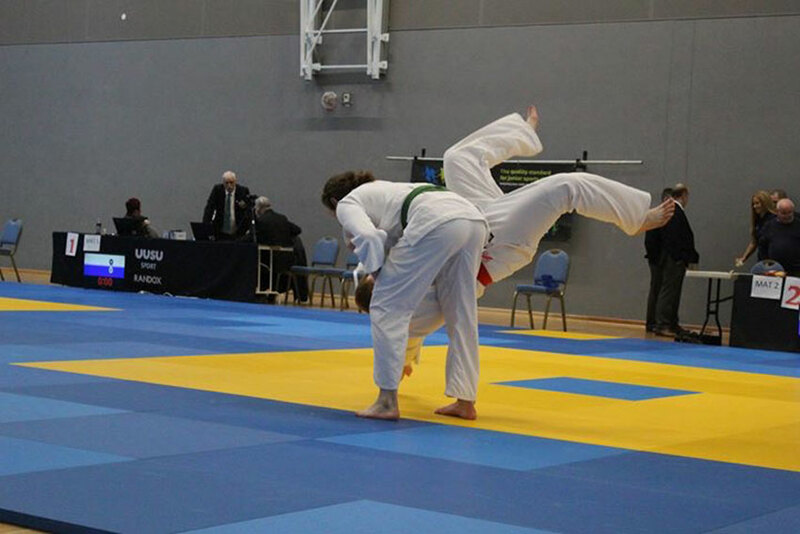 This Intervarsity Judo tournament has been running annually since 1968 and has rotated around the third level institutions on the Island of Ireland since its conception. The early Intervarsity tournaments comprised of a men’s and women’s team event but in order to widen opportunity for competition individual categories were introduced in line with the International Judo Federation (IJF) weight categories of which there are now seven, though originally five. The event then finished with a gala ball and medal presentation at Magherabuoy House Hotel in Portrush which was attended by around 120 players and officials. There has been a judo club at the Coleraine Campus since around 1970. The original coach and founder was Marietta McGrellis who was an experienced coach and one of only three female black belts in Northern Ireland at the time. Marietta continued to coach the Club until the early 1980s and during that time completed a BSc (Hons) MSc degree in Psychology. 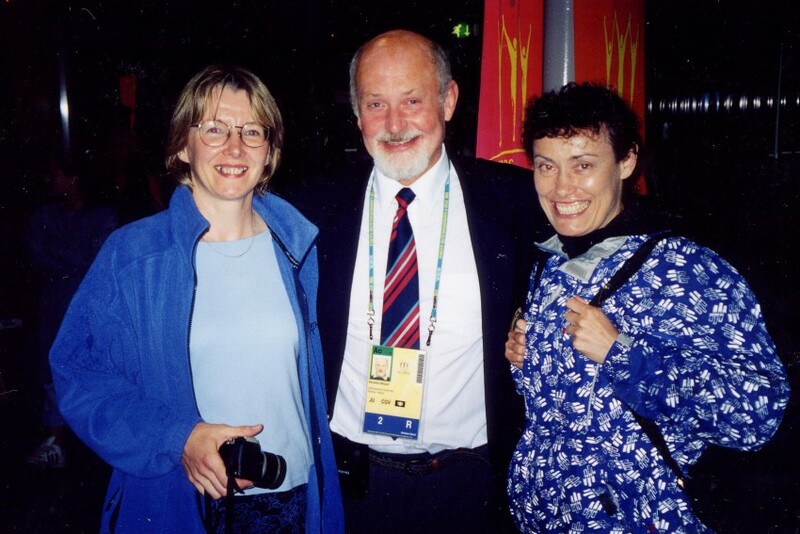 Richard Briggs moved into the Coleraine area in 1975 fresh from QUB and became the main coach in the mid-1980s when Marietta was elected to the Management Committee of the British Judo Association and took on a lecturing post in Londonderry. This time period went on to be a very successful one for the Judo club in Coleraine as demonstrated by the collection of accolades accomplished. For example, John Gibson who was also on a British Squad and won medals throughout Ireland and the UK as well as being awarded the President’s Plate in 1985. Other worthy players to come from Coleraine were Reggie temple, Adrian McMahon, Vivien Moorehouse, Shane McManus, Mary Garvey, Alan Bogle, Ryan Magill, Michael McMillan, Kerry Lavery, John Montgomery and Kingsley Hepburn who graduated with a first class degree and gained his Black Belt in the same year, before proceeding to a PhD. The tournament formed part of the 50th Anniversary Celebrations of the Ulster University Coleraine campus and in addition to the players it was attended by former University judoka spreading back to the UU Judo Club’s formation in the 1970s. The most noteworthy was the guest of honour Joyce Malley; who won many medals both nationally and internationally whilst a student. 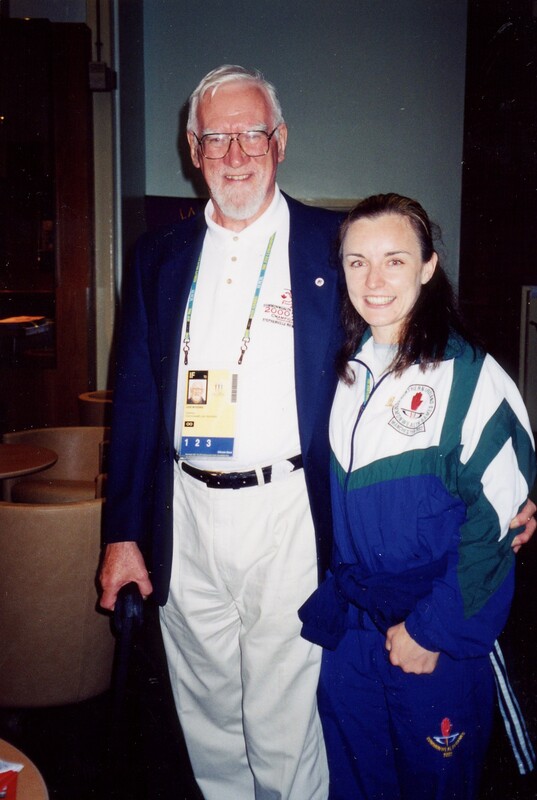 Joyce’s successes included a Bronze medal at the World University Championships and a two-time recipient of the Sports Union’s highest award, the President’s Plate; the only student ever to achieve this. Joyce has also won Commonwealth, European and World medals and is one of the most successful sports stars to pass through Ulster University. Now graded at 6th Dan, Joyce is still an active competitor and current European and World Masters Champion at her weight. 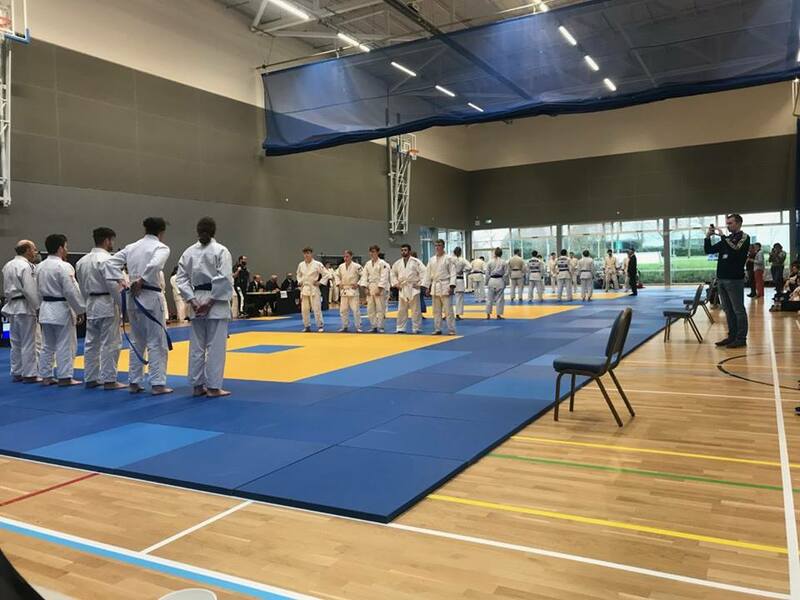 Joyce, who has lived in New Zealand and the Middle East, now lives near Liverpool and made a special trip to attend the 50th celebration Judo Intervarsity in Coleraine. Other guests included Fr Jude McKenna, who is now based in Dublin having made a valuable contribution to the development of judo throughout Africa during his 50 years of missionary work in Zambia. Fr Jude had a boxing background in Ireland whilst studying for his priesthood, but following his ordination and joining of the Capucian Order he moved into judo where he was described as the “Fighting Friar!! He is a past President of the Zambian Judo Association and was an active member of the Executive Committee of the Commonwealth Judo Association for many years. The Judo Club were extremely delighted that Fr Jude could attend the Intervarsity tournament in Coleraine. Also representing the University at the tournament were Head of Sport and Recreation; Dr Nigel Dobson and Professor Brian Taylor who helped coach the Coleraine Judo Club for many years. 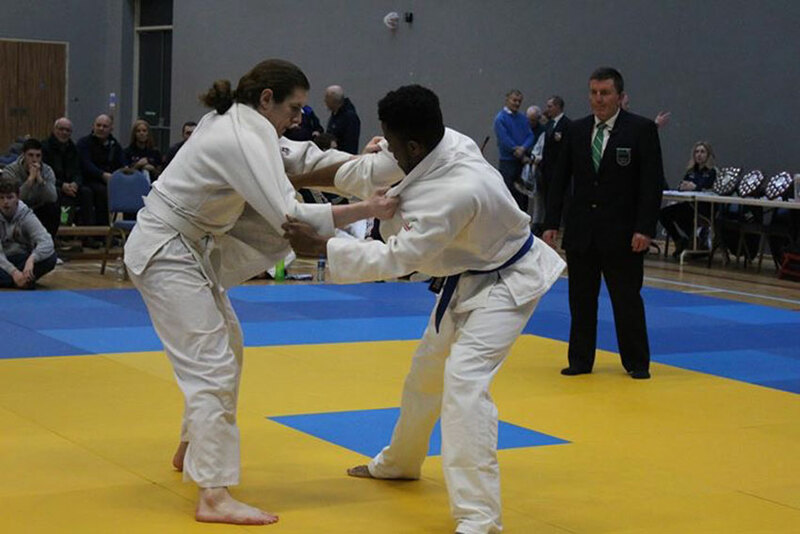 The Competition Director of the Intervarsity tournament was Commonwealth silver medallist Dr Lisa Bradley (4th Dan), who is on the academic staff of Ulster University’s Magee Campus. Lisa is a highly experienced judoka who has competed at the highest levels and has also been involved with University judo for many years. She competed at the Intervarsity throughout her undergraduate and postgraduate years at the Queen’s University of Belfast which culminated with a PhD and a Silver medal at the 2002 Commonwealth Games in Manchester in the same year! Lisa is still very active in judo as a coach, a UKCC coach educator and Tournament Director. A recent interest is the promotion of judo as an Inclusive activity and promoting the “judo for all” ethos which is proving a great success. Lisa is a member of the academic staff at Ulster University Magee Campus where she lectures in International Business. Jim is a National “A” referee and has acted Head Referee at many judo Intervarsities in addition to major Northern Ireland and Republic of Ireland events. As a player Jim has competed at the highest level and won medals at British, European and World Masters Tournaments. He is also an experienced coach and has completed the European Judo Union Elite Performance Judo Coach degree at the University of Bath. He is Northern Ireland’s chief coach educator. Along with his wife Lisa Bradley, Jim organises BJA level 1 and UKCC Level 2 Coach courses for the Northern Ireland Judo Federation, is a BJA Senior Examiner and is currently coaching the Magee Campus Judo Club.